Final Price: all three for $3.24 plus free Redbox code! *be aware that stores ring in B1G1 sales differently so this may not be a freebie for all! 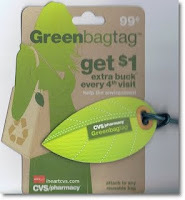 Walgreens Register Reward (RR) Coupon Deals. Scan your Extra Care Card at the coupon machine to get a $3/$10 printable good on any cosmetic purchase! Final Price: FREE with $.75 profit! *this scenario is based on the online price, YMMV in store. Let us know what you find!